I wish I were as smart as Steve Jobs. His innovations at Apple are extraordinary in terms of both the products and the marketing. If you want to see a master at work, watch Jobs' most recent talk announcing the new iPhone. I am probably going to break down and get an iPhone; even the luddite Steve Pearlstein says he is going to do the same. Alas, I am not as smart as Steve Jobs. Who are these people that more than make up for my mediocrity? First and foremost are the amazing people and groups who run the projects listed on GlobalGiving. If you want to learn something about innovation, these are the among the most creative people in the world. They achieve extraordinary results with extremely limited resources. Then come the donors and partners on GlobalGiving who generate more ideas than I could ever even dream of. If you want to know how we stay ahead of the curve, you should read the results of our surveys. And last but not least are the exceptional people we have here at GlobalGiving. The challenges of creating a whole new way to connect people around the world are huge. Not only do we have to keep the operation running smoothly and efficiently every day, we also constantly have to invent new things - or more often respond to the ideas proposed by our users. This requires great skill, imagination, and coordination among our supply, marketing, BD, finance, and tech teams, who are truly awesome. These are the heroes of GlobalGiving. 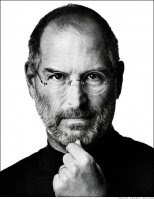 And, fortunately, they free me from the burden of worrying about being as smart as Steve Jobs.